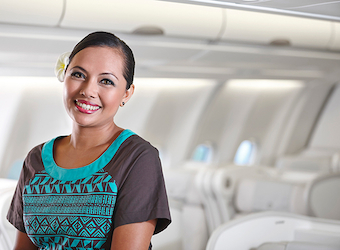 FutureBrand Australia has received top honours at this year’s Rebrand’s Best of Award, for its work with Fiji Airways, Fiji’s National Airline as it rebranded from its former ‘Air Pacific’ identity. The award, held by only four other brands globally, was based around the company’s return to its 1950s name and featured work from Fijian Masi artist Makereta Matemosi. Others winners from the night included rebrand campaigns for Cancer Research UK, Institute for Creative Health, interior design firm, Jason.L and humanitarian organisation,Pact.